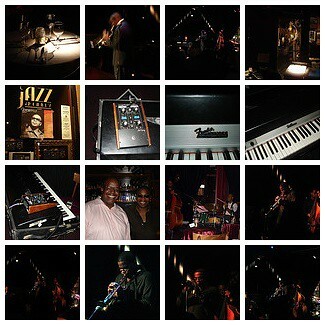 Jeremy Pelt @ Jazz at Pearl’s, originally uploaded by in2jazz. This photo mosaic is very exciting because I was finally create a mosaic using the flickr toy..YAY!!! A concert review will follow. This entry was posted on Tuesday, October 11th, 2005 at 11:42 pm. It is filed under Concert Reviews. You can follow any responses to this entry through the RSS 2.0 feed.